Now is the time where I step back from the media side of things, and write this as a fan talking to other Islanders fans. Tonight we watched as the Islanders season came to an end. You can point at power play numbers, goalie mistakes, low offense, defensive turnovers. It doesn’t matter anymore. The season is over. Move on. There is a bright side, and another day. I will say that at the end of this season, the future is now. Now is the time. Nobody expected 101 points out of this team. Nobody. Look forward to the playoffs in the coming years. These kids are going to flourish. Tavares, Okposo, Strome, Lee, Cizikas, Martin, Nelson. Leddy, Hamonic, Donovan, Mayfield, Reinhart, Pulock. A couple tweaks in the offseason and they’ll be ready. This season, everyone compared the Isles to the cup teams of the 80’s and we’ll see that continue as the years go on. The magic that happened this season is irreplaceable. 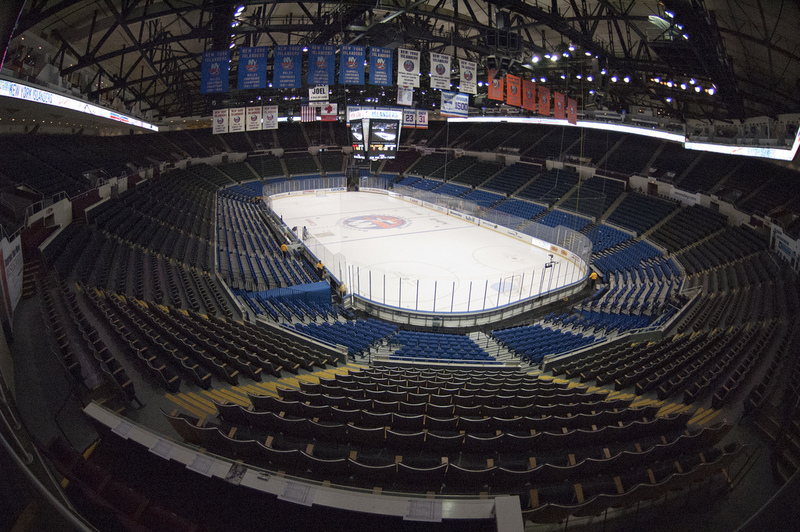 The Coliseum’s time has come to an end, but the Isles have not. They’ve only just begun. As for Nassau Coliseum, there’s only one way that it could’ve properly gone out, and it didn’t go that way. That would’ve been with a cup over John Tavares’ head. But the way it did go out on Sunday does represent everything that the Coliseum had: Noise, Grit, Determination. It was only fitting for the Barn to go out on a win. It’ll be sad to see the Coliseum go, and even though we don’t know if the team will ever return, I’ll always take away that one moment. Just like everyone else. For me, it’s the Sean Bates penalty shot in the 2002 playoffs. I was eight years old, and my family had season tickets at the time. I went to the game with my mom, and our best friends Doug and Jared Bursky. I have never heard a louder Nassau Coliseum than in that moment. Even still, I get goosebumps every single time I see that highlight. Every single time. Nothing will change that. Go out and finish the job. Bury the Rangers.